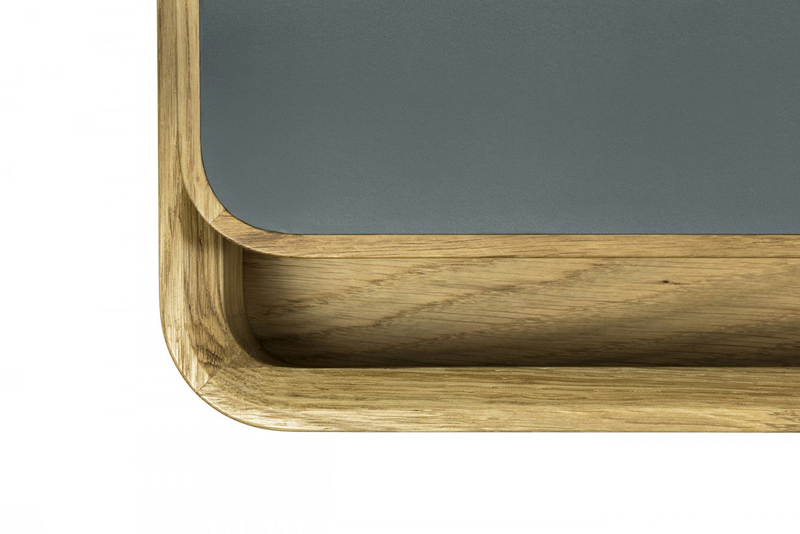 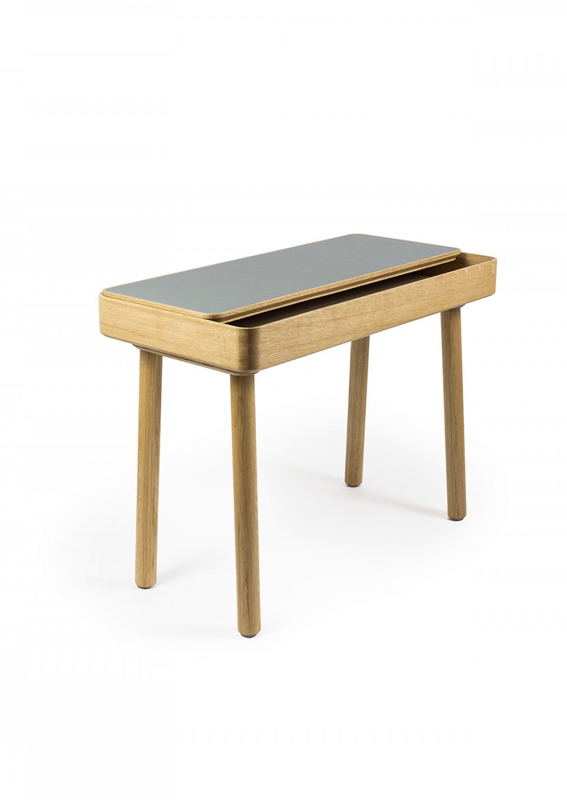 Made in solid oak, this writing table consists of a compartment that is fixed (instead of moving like the classic drawer) on which is placed a top that can slide freely, depending on the desired action and use: a new gesture for storing documents, and retrieving pens or other materials stored in the deep compartment. 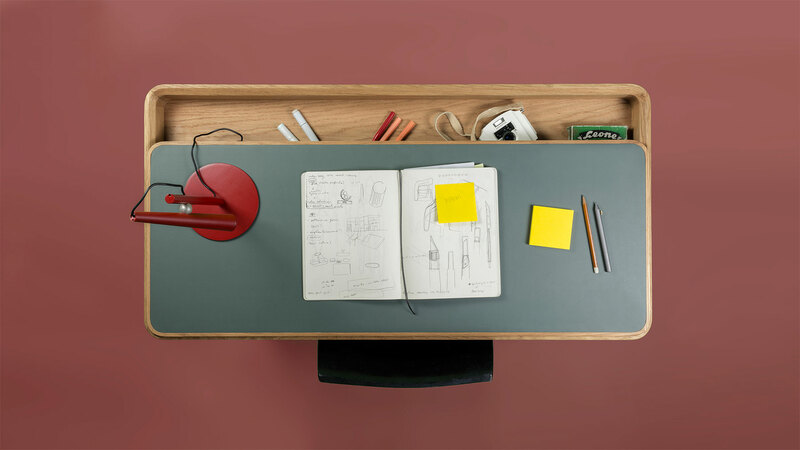 The compartment, therefore, is the desk’s structure and a new interpretation of the drawer as object: only the top – covered with grey linoleum inviting to write – can slide and be lifted up. 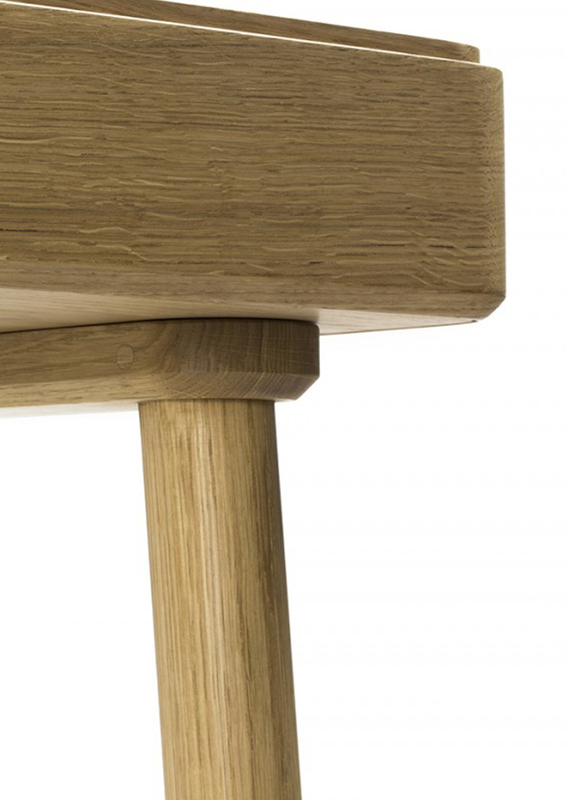 No joinery, no hinges: the top is completely free to slide along the 45° bevels allowing it to be positioned, self-centering and slide, as well as spotlighting the high quality of the materials employed.